Neil qualified at Manchester Dental School in 1984 , has been in General Practice at Mossley since 1987, and has known many of his patients for over 20 years. He is delighted to be caring for a second generation of patients. 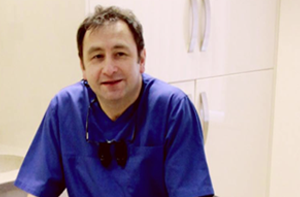 Neil has a particular interest in dental implants and has been awarded his masters degree MSc in Dental Implantology in 2011 from the University of Central Lancashire after 3 years postgraduate study. His passion is to ensure that all his patients, irrespective of age, should enjoy good dental health, eating the foods they enjoy without discomfort. As well as implants, Neil also provides general, cosmetic and family dentistry at the Mossley Practice. Daniel qualified at Glasgow University in 2000 and began working at Mossley Dental Care the same year. 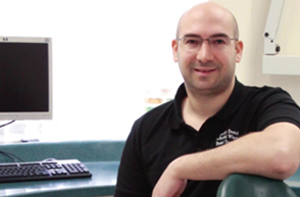 Daniel’s particular area of interest is orthodontics and has a postgraduate Masters of Science degree in the subject. He provides a full range of tooth straightening services including Invisalign, 6 month Smiles, Inman Aligners, to name a few. This ensures a range of orthodontic treatment options are available to patients irrespective of requirement or budget. Braces are not just for teenagers nowadays, there are a number of invisible treatments available for children and adults alike. Daniel has spent one year working in a hospital oral surgery department giving him valuable experience in this specialist field. At Mossley Dental Care he also provides general, cosmetic and family dentistry. Lee is a member of our team of four hygienists here at the Practice, each working on a different day to ensure a seamless transition between dentist and hygienist – no need to have appointments on different days here at Mossley. Lee has worked here for over 3 years and is passionate about his hobby fell running for Saddleworth Running club which he manages to juggle with the care of his two bouncy boys! His favourite place in the world? Running the length and breadth of the Isle of Skye. Qualified in 1997, Georgina has enjoyed working with the team and the patients at Mossley for the past 6 years. Georgina’s hobbies include horse riding, dancing, and socialising with friends and her family. Her favourite places in the world? The Lake District and Scotland. Carol has worked at Mossley Dental Care, virtually since she qualified as a hygienist in 1997. In that time she has got to know many of her patients, and likes working in the friendly environment of the Practice and with the team here. When not in Practice, Carol can be found in the gym or walking. Her dream holiday would be in Italy, her favourite country. Lynsey has been working for Mr Watson for over 7 years and derives a great deal of job satisfaction from assisting him with the nursing of his implant patients. It is an area that is of great interest to her professionally and she wishes to obtain even more qualifications in this specialised area of dentistry. When not in the practice Lynsey loves spending her time stock car racing. Joanne is also a long standing member of the team here at the Practice and has worked here for 17 years, thoroughly enjoying the camaraderie of the team here. She works with both Mr Watson and Mr Winston as a nurse and also as part of the Reception team. When not at work Joanne loves practicing her hobby, nail technology, an art in its own right. Gwen has been with us for 21 years now. As a result of this, coming to work for Gwen is almost the same as having fun with friends. Normally she will be working alongside Dr. Winston aiding him with the treatment of orthodontic patients. When she’s not in the practice, Gwen is playing super-mum to her two daughters, at the cinema catching the latest releases or strolling through rural England. Lesley’s job is to oversee that the highest standard of nursing is adhered to by our nursing team. Lesley meets all our patients personally to ensure that the treatment plan recommended by the dentist meets with the patient’s own needs. Lesley has worked at the Practice for 22 years, and is one of the longest serving employees here. Clearly she likes working with the team at Mossley, but really enjoys meeting and welcoming new patients to the Practice. She is proud to know all our patients by name. Lesley ensures that all our patients are aware and understand the various treatments and types of payment options available to them. Her favourite place in the world? Home. Lesley is the Practice Manager at Mossley Dental Care and has also worked here at the Practice for 22 years. In fact she has worked here so long that the team sometimes feels like her extended family. Lesley ensures the smooth running of the Practice and is responsible for adhering to the high standards set by the General Dentistry Council and the British Dental Association – in fact the Practice is currently working towards BDA Good Practice Accreditation, a key national indicator for patients seeking the very best in standards of dentistry. Alison has worked at Reception at Mossley Dental Care for the last 9 years. She takes a great deal of pleasure meeting our patients old and new- you can always be assured of a warm welcome. When not behind Reception Alison enjoys going to the gym, cycling, walking and most importantly socializing with family and friends in her spare time. Her favourite place: Anywhere with sunshine!